The original US and Canadian releases did not include 'To The Shore'. 'Planet Earth (Night Version)' was used instead, as the album's leading track. 'Nigh Boat' was renamed '(Waiting For The) Night Boat'. In 1983, the album was reissued in countries outside of Europe. Again, 'To The Shore' was omitted, but this time, it was replaced with the new single, 'Is There Something I Should Know', added as the last track on the first side. While the altered titles remained from 1981, 'Girls On Film' was moved back as the leading track, followed by the regular version of 'Planet Earth'. New artwork was used, similar in style as the 'Is There Something I Should Know' singles. This cd has Is There Something I Should Know, not To The Shore. The listing is incorrect. I have no problems with this pressing other than the center labels on the lps have no print. Excellent album but very bad pressing...very disappointed to this release. Track CD2-12 "Girls on film (extended night version)" has been previously released on the dutch "Carnival" EP and in the Greek "Girls on film" 12", AFAIK. It's not "previously unreleased"
I wish my version was Mastered by Wally. My copy was mastered by someone else. I love the Wally mastered albums. Mine has hand-etched "DURANIES ROCK" added to runout. Anyone else? Absolutely gorgeous pressing of a legendary album! 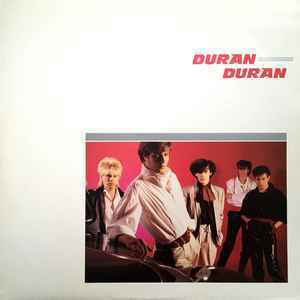 Punchy, alive and very well-produced, an original vinyl is a must when listening to the first Duran Duran LP. Can anyone that has a copy of this please confirm if it is a Translucent vinyl. Thanks.